David Grossman (Principal Bass), currently a member of the New York Philharmonic. The New York City native was still a student at Juilliard when he won the 1999 audition to join the NY Phil, and waited until the following year before joining them full-time. In addition to his performances of both orchestral and chamber music, he is an accomplished jazz bassist, having been a member of the Marcus Roberts Trio and played with Wynton Marsalis and other jazz luminaries. He has released two albums, both named “The Bass of Both Worlds” (one featuring classical repertoire, the other jazz). He is also a composer. Mr. Grossman takes over the LACO chair previously held by Nico Abondolo. 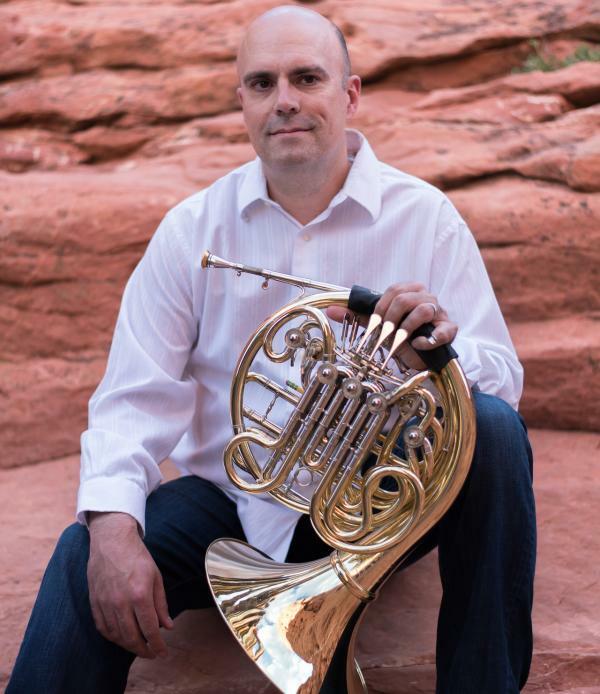 Michael Thornton (Principal Horn), Principal Horn with the Colorado Symphony since 1997. Before that, he left studies at Juilliard with former Met Principal Horn Julie Landsman to become Principal with the Honolulu Symphony (he holds a Bachelor of Music from Temple University). He has also performed, toured and recorded as a guest with the Philadelphia Orchestra, St. Paul Chamber Orchestra, KBS Symphony and Toronto Symphony, among others. In 1999, he was appointed to the faculty of the University of Colorado and is an Associate Professor there. In addition, he has taught and been a clinician at numerous other schools and festivals throughout the world. He fills the LACO position formerly occupied by Richard Todd for over 30 years. They both begin their roles immediately, though interestingly enough, both will also keep their respective positions in New York and Denver. While some LACO musicians past and present are/were active members of other orchestras, this is the first time I can think of where the commute between LA and the “other” jobs required regular flights from other states and time zones, not just a drive up the 405 or down the 110. 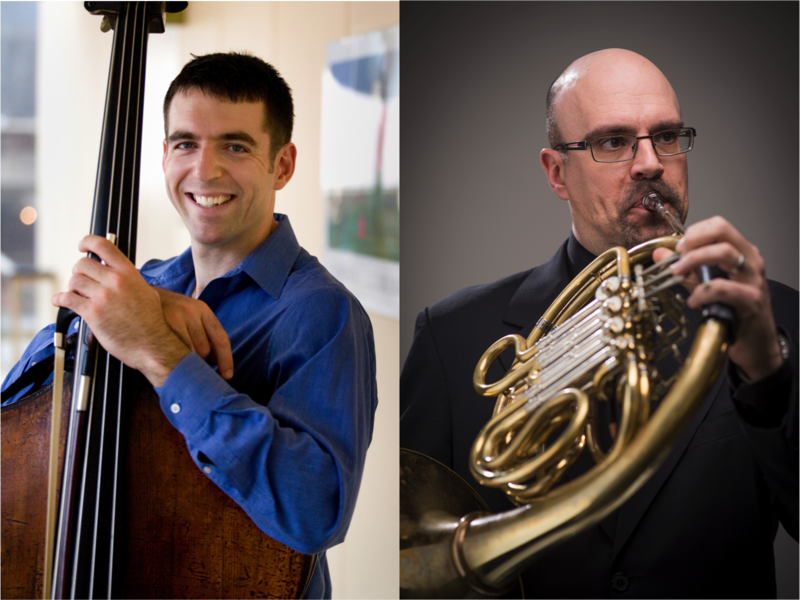 That said, Scott Harrison, LACO’s Executive Director, made a point of assuaging potential concerns about the arrangement, stating, “Both musicians are exceptional talents who bring artistic depth and an enthusiasm for community in equal doses. . . . The two have also communicated to me their eagerness to get to know our audiences and become active members of the LACO family.” Let’s hope that this translates to appearances by them in LACO’s many ancillary series — Baroque Conversations, in focus (fka “Westside Connections), à la carte, “Acoustic Caffeine,” etc. — and not just the regular orchestral concerts. Both men had the chance to play concerts with LACO this past season. Not only did those experiences provide critical information on the chemistry the new musicians had with the established LACO members, it also helped to convince them to make a go of it in Los Angeles despite their established positions in other cities. The full press release of this announcement is available HERE. One final question worth asking: What kind of horn will Mr. Thornton play in Los Angeles? Mind you, this is a non-trivial question. 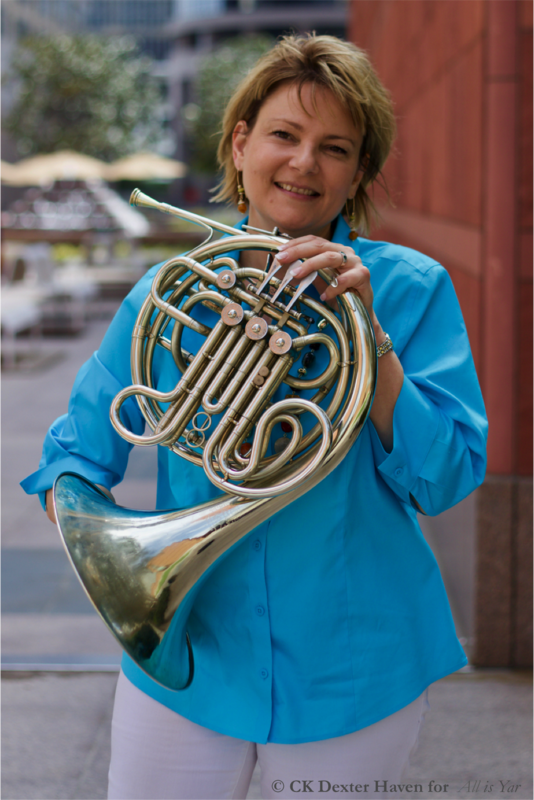 The LACO horn section has traditionally played a Kruspe-style horn, the same as is favored by most of the Hollywood studio players (see this picture I took of Kristy McArthur Morrell, LACO’s 2nd horn and studio veteran, holding her Kruspe-style horn). It gives a round, mellow, dark tone. It is the style of horn Americans are probably most accustomed to hearing. The Cleveland Orchestra is famous for having their entire horn section playing Conn 8D horns of this style. The Los Angeles Philharmonic section also used to favor this kind of horn. 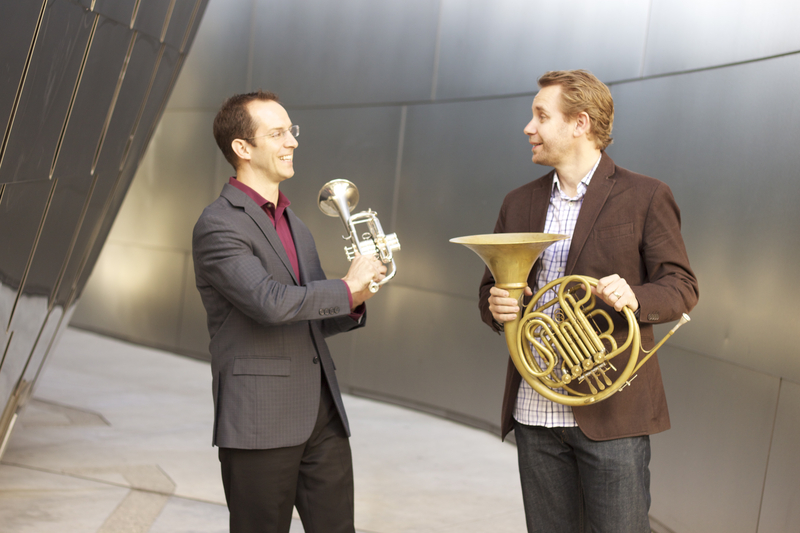 The primary alternative among American orchestras is a Geyer-style horn as is favored by, say, the current LA Phil horn section led by Andrew Bain (as pictured HERE), the Chicago Symphony, and others. It produces a brighter, more pointed, and generally more “brassy” sound than Kruspe-style horns. Now if you do a quick Google search for pictures of Mr. Thornton, you will find pictures of him playing both styles of horn. And to make things even more complicated, the photo of him above (in the white dress shirt and jeans sitting on rocks) has him holding a triple horn, which is an entirely different beast. That’s noteworthy enough in that horn players don’t usually go back and for between different kinds of horns (though Mr. Bain himself is an exception to that — a discussion for another day), but there’s something more important . . .
As I mention above, the LACO horn sound — and therefore the overall LACO sound — has been based on a specific horn type, and a major change in that sound would be a surprise, especially since LACO still is without a Music Director. In fact, some hornists have been known to quit their orchestra jobs rather than deal with having to make a change in equipment. I’d say the odds are low that Ms. Morrell would change horns and/or leave, and given her excellent playing, let’s hope I’m right. So, again, what horn will Mr. Thornton play? I guess we’ll know the answer in September. LACO’s first concert of the 2017-18 season will be a live accompaniment to the movie, Amadeus, at the Valley Performing Arts Center on September 16. Their first subscription concerts at the Alex Theatre in Glendale and Royce Hall at UCLA will be Saturday and Sunday, September 30 and October 1st, in a program of Mozart, Bernstein, and Brahms; violinist Joshua Bell is the featured soloist, and Jaime Martin conducts. If I hear anything before those concerts, I’ll be sure to let everyone know. Tags: David Grossman, Michael Thornton. Bookmark the permalink. I’m guessing spring of 2018 at the very soonest, more likely sometime after that. But I’d be surprised if the process drags into 2019 before an announcement.